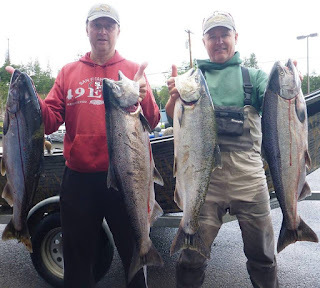 The Spring Chinook season is fast approaching the west coast rivers. We will be running springer trips on the famous Rogue River from April through June. These fish are the most sought after salmon in the lower 48, the high fat content make them hands down the best table fare you will find in a river. Its true when you hear the saying "springers make people go crazy". We have very limited availability for this short but highly rewarding season so get a hold of us sooner than later.